Magic slice cutting/serving mats and coasters. Protects counter surfaces. Wine, coffee, oils, juices, or odors can't penetrate surface. Convenient and easy to store. Does not slide on your counter. Use for casual slicing of all types of food. Roll up and funnel chopped food into pan or bowl. NOT intended for use under hot items. Do not place in dishwasher. 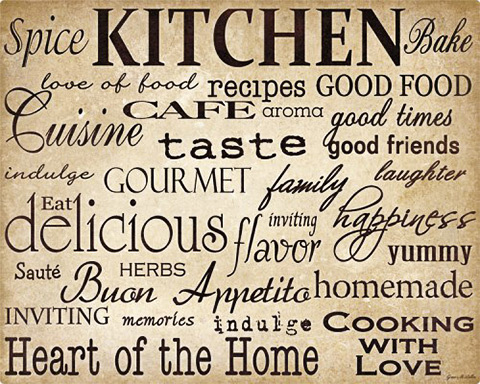 12" x 15" cutting mat with food related words on neutral background. 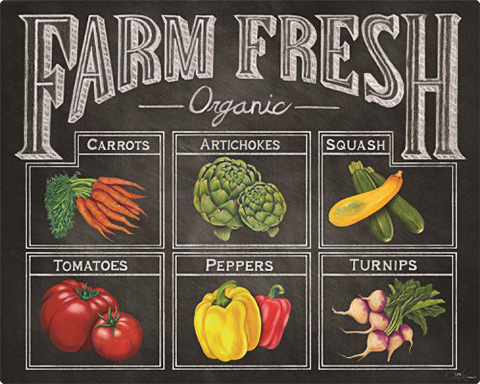 12" x 15" cutting board with farmers market chalkboard theme. 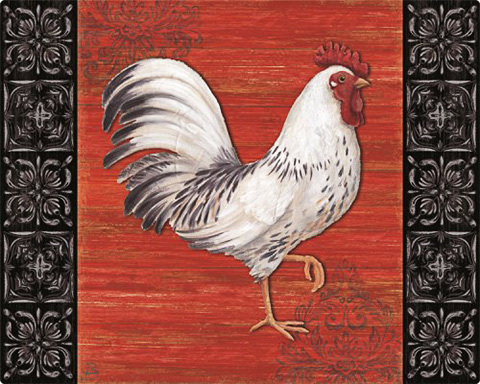 12" x 15" cutting board with rooster and rustic red wood theme. 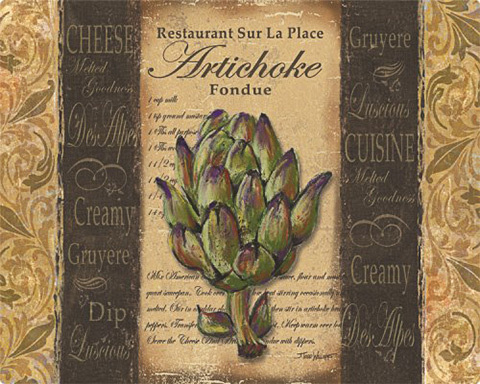 12" x 15" cutting board with artichoke and fondue theme. 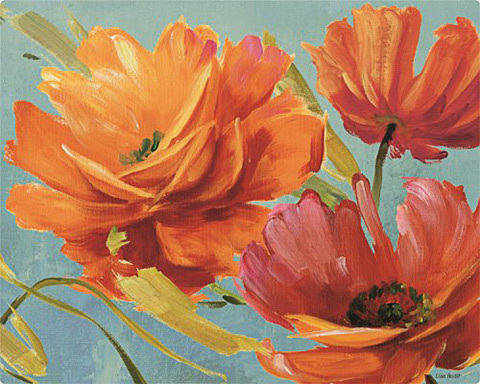 7.5" x 11" cutting mat with bright flowers on blue-green background. 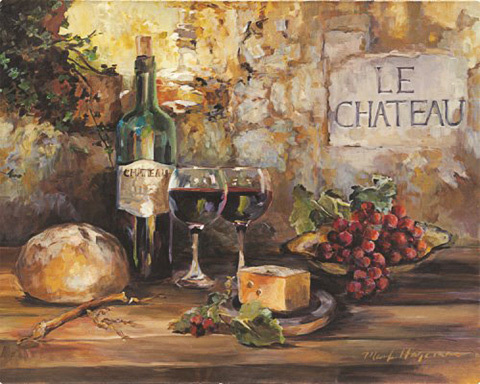 7.5" x 11" cutting mat with wine and cheese theme. 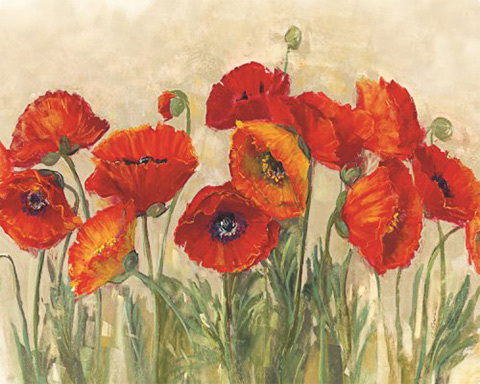 7.5" x 11" cutting mat with red poppies on a neutral background. 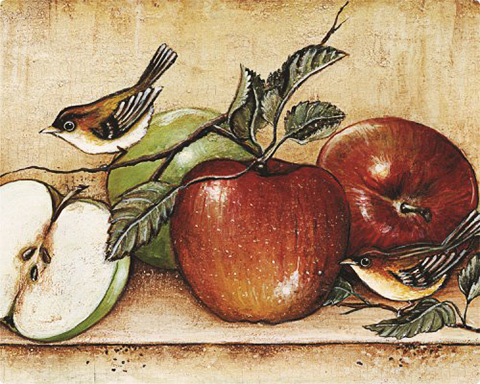 7.5" x 11" cutting mat with a warbler and apples. 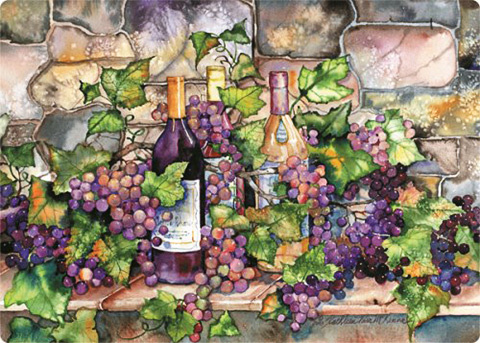 5" x 7" cutting mat with grapes and wine bottles theme.